DETROIT June 13, 2017 -- Claude Molinari, general manager of SMG/Cobo Center, today announced an additional two million-dollar technology upgrade. The work includes the installation of 60 intermediate distribution frames (IDF) throughout the center that will support and enhance the 10-gigabyte (Gb) broadband network now offered to customers in Cobo Center. 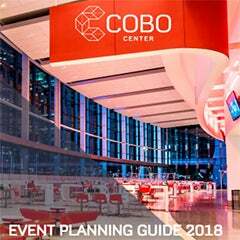 "We are creating a network that will accommodate the largest technology power-using events in the industry," said Claude Molinari, general manager of Cobo Center. He added, "we are particularly going after e-sports events and trade shows with augmented reality or virtual reality exhibits, expecting them to be a wave of the future." Cobo’s broadband supplier, Rocket Fiber is Detroit's newest broadband company, boasting the fastest Internet in the world. 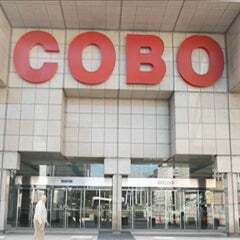 The company created a hub on Cobo Center's property during the initial build-out of its fiber infrastructure, much of which is trenched along the new QLINE streetcar system that became operational in downtown Detroit May 12. The Cobo hub will create a fiber pipeline into the facility that will offer 10Gb broadband, enough for any high-tech event in operation currently. The increased number of IDFs allow for a more complex, flexible and robust system, fully customizable to meet the needs of any event. Bandwidth usage up to 40GB is now built into the system for future adaptation. 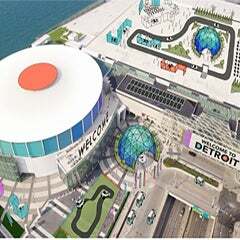 "Our Technology Services Department is an area that will always require ongoing upgrades," said Larry Alexander, Chairman of the Detroit Regional Convention Facility Authority, the governing body of Cobo Center. "We are constantly analyzing the industry for current trends and making every needed adjustment to stay ahead of the curve." Recent technology upgrades also created a captive WiFi portal and provides the opportunity for events to have a custom splash page that can be sponsored and create revenue opportunity for show managers. The entire Cobo Center network is supported with full redundancy to allow maintenance on the system without any interruption to service. "With the recent upgrades, our Technology Services Department can now customize a network for the most tech-hungry events on the planet," said Molinari. "We are ready to welcome events and visitors to the future in Cobo Center."